Niamey –The UN Migration Agency’s (IOM) assisted voluntary return efforts in Niger have already eclipsed figures from last year, largely fuelled by the distressing outflow of migrants across the Algeria-Niger border. The mission reports this week that more than 10,000 migrants have been assisted to date, compared to roughly 7,000 in all of 2017. 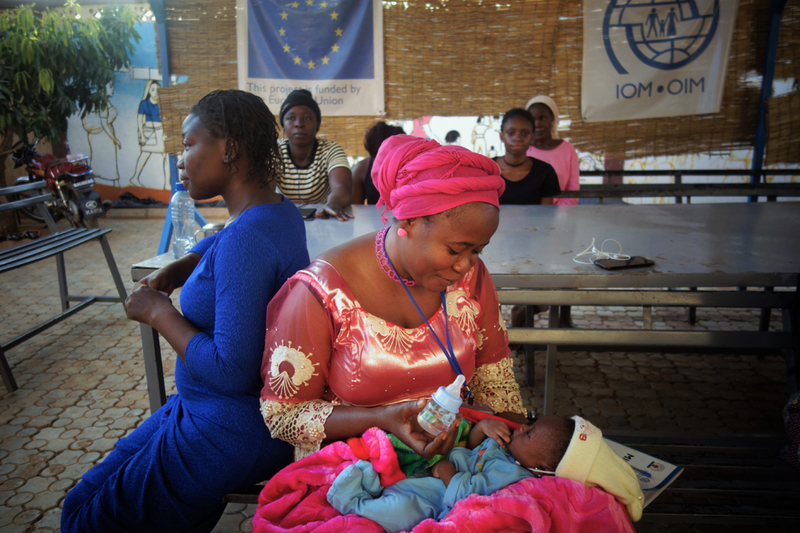 “The IOM team is working tirelessly to facilitate voluntary returns and provide protection assistance to all West African migrants, whether rescued from the desert or requesting our assistance while in Niger,” said IOM Chief of Mission in Niger, Giuseppe Loprete. Close to 90 per cent of the more than 8,000 rescued migrants were discovered during 84 search operations near the border towns of Arlit and Assamaka. Despite the fact that more than half of the roughly 12,000 migrants who have arrived at IOM’s six transit centres in Niger so far this year lack any form of identification, IOM has managed to process over 5,000 requests for travel documents thanks to the efforts of consulates, embassies and Nigerien authorities. IOM assists all migrants, Nigeriens or third-country nationals, who wish to return home. The main countries of origin for those who have received voluntary assistance this year were Mali, Guinea-Conakry, Cameroon, Niger, Senegal, Côte d’Ivoire, Liberia, Nigeria, Sierra Leone and Burkina Faso. The latest group of 391 migrants stranded at the border arrived on 13 July. Of this group, 315 were assisted and transported to the transit centre in Arlit two days later; 64 made their own way to that location and nine decided to head back to Algeria from Assamaka. Condé was among one of the recent groups to be repatriated from Algeria to Niger, after having spent two years abroad. “I will surely never travel without papers again. We may not have everything at home, but if you have enough strength and determination, you can make a life for yourself anywhere,” said the Guinea-Conakry national. Together with his wife, Condé is now waiting to be assisted with voluntary return at IOM’s transit centre in Agadez. The numbers of people seeking help has exploded in recent years. In 2015, 1,721 migrants were provided voluntary return to their countries of origin. In 2016, the figure almost tripled, to over 5,000. May 2018 saw IOM assisting an all-time peak of nearly 3,400 migrants with voluntary return. Accommodation at the transit centres is voluntary: people are free to leave when they choose. All migrants arriving at the centre are registered and profiled, and provided shelter, food, water, and medical and psychosocial assistance. IOM arranges airline and bus reservations for all migrants wishing to return to their countries of origin and has provided escorts from airports and bus stations. “Over the last three years, the EU and its member states have contributed to consolidating the approach and making these returns safe and dignified. There has been excellent cooperation. Our aim now is to reinforce it by including additional options to voluntary returns, such as community development, job creation and micro-finance support linked to our reintegration programme, both in countries of transit and origin,” Loprete said. The six transit centres in Niger are supported by the Migrant Resource and Response Mechanism (MRRM) funded by the European Union and co-financed by the Danish International Development Agency (DANIDA), the Department for International Development (DFID), the German Cooperation and the governments of the Netherlands, France and Switzerland. The EU-IOM Joint Initiative for Migrant Protection and Reintegration together with the MRRM programme are funded by the EU Emergency Trust Fund for Africa.